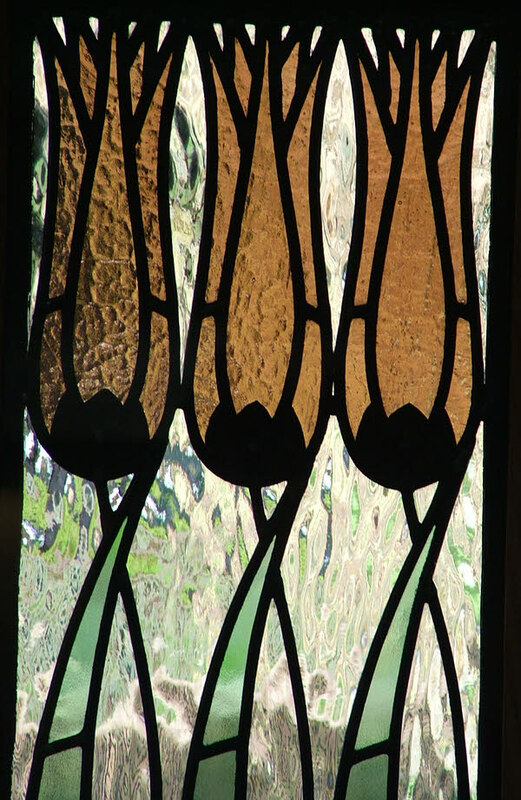 The beautiful design of Baillie Scott’s windows at Blackwell House, Cumbria, was the inspiration for these panels. 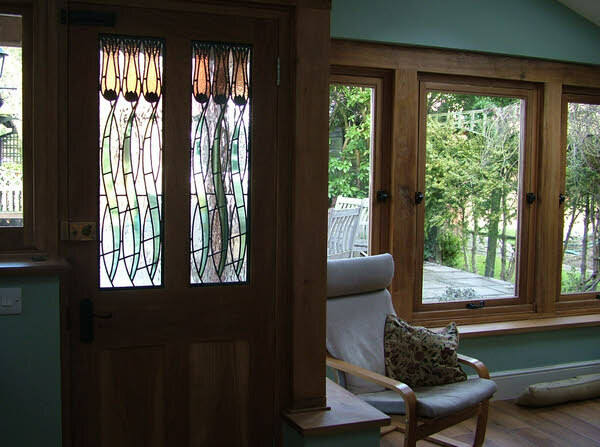 A particular wish of my customers was to recreate these panel in colours of their choice. A new extension in oak, graces their home and these panels, encapsulated to save energy and for safety, are the icing on the cake. 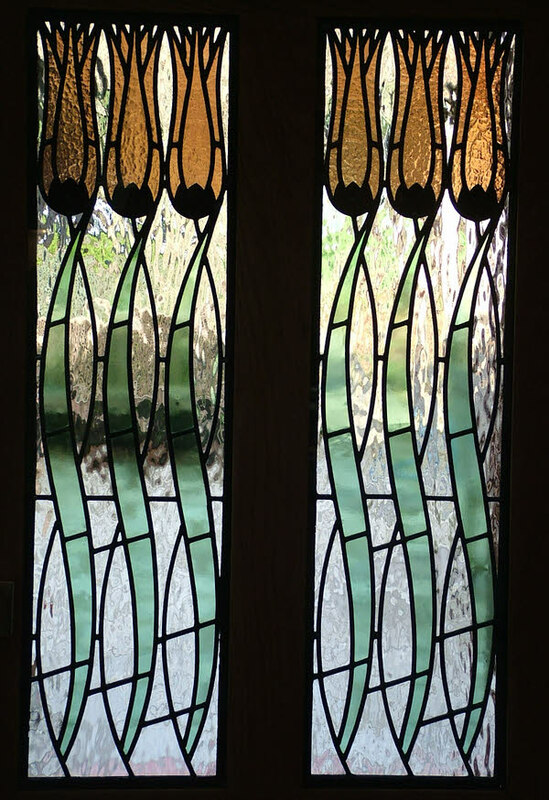 Created using carefully chosen different colours and textures and then hand painted, these windows are already a talking point!